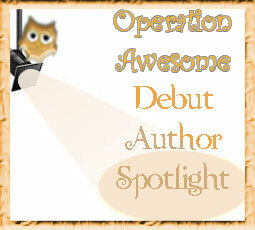 The first author in the spotlight this year has a live tour stop near my neck of the woods! Check out question four for details. 1- Your cover is amazing. What's your favorite part about it? Thank you so much! My publisher/designer gave me the freedom to design my own cover. I mostly enjoyed playing with the fonts to evoke the mood of the book: fun, young, whimsical, yet dark. Fonts go a long way when complimenting an image (in this case, not making it so serious and keeping it bold/edgy)! #WriteTip : There is always time to write, forget "the time just isn't right". 1 hour a day = success. More? Winning! Keep the fire burning, and your mental muscles on a treadmill. My father ignited my passion for writing. He forced me to write my first feature screenplay when I was thirteen years old. He taught me to play the piano, utilize the quick-wit of improvisation- creativity is all intertwined. I love imagining my own worlds, and haven’t stopped writing since then. 4- You're going to the B&N in Bethlehem, PA on Feb 9. Any plans to stop at Just Born for Valentine's Peep hearts, see the "PEDRO MEYER: TRUTH FROM FICTION" exhibit, or visit the Museum of Indian Culture? Peeps are my husband’s favorite! Thanks for sharing! Will definitely be exploring Bethlehem after. If you’re around Easton, PA - come on by to B&N and say hello! Yes! My twitter handle is: @LauraGWest For #WriterWednesday fellow authors of @brwpublisher : @RobertEKearns @KayMerkelBoruff @inktostone Hi guys! Check them out! 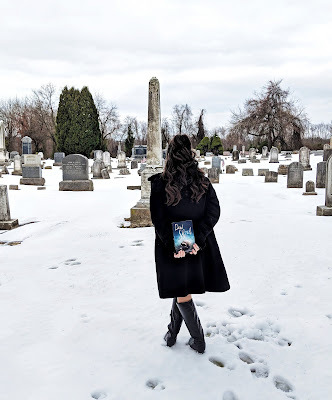 6- Would you share a picture with us of your book in an interesting setting? 7- What's your favorite jazz song? My father, Vlad West (Vladimir Sermakashev) is a well-known jazz musician in Russia. Naturally, I will say all of his songs are my favorite. In particular: “Never Too Late For Roses”. Also, I’m a fan of Thelonious Monk: “Round Midnight”. The desire to see what other authors are currently writing motivates me to read new books. Especially when I’m in a “break period” between projects. Grabbing a book then is like licking wasabi between sushi bites. It’s refreshing, cleanses the palate, and makes the flavors of my next project even tastier. Title: #FridayReads any Goosebumps books. Love because:He knows it! A brilliant, quirky mind. A kind and honest man, who gives back to upcoming writers. My biggest fan is my mother, Linda. Hands down. She has been the first to read all of my work since I was six years old and writing poetry about “ants in my pants”. Yes, she has read hundreds of those. 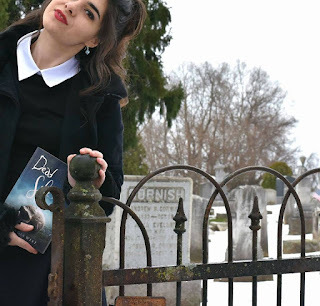 She particularly loves my imagination in all of my writing, especially in Dead School. We enjoy similar stories. Fantasy, magic, and an escape to unique places... My father-in-law, Bob, might make the runner-up cut, since he must've been a heartfelt cheerleader in a past life. I should double check his "Blueprint" in the Dead School Hall of Records. 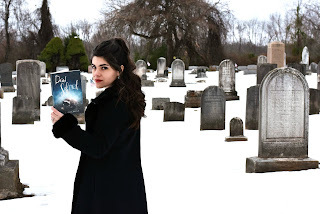 I hope that readers laugh when they read Dead School. I hope that they can connect and see themselves in a cynical Tina Crocker. I also hope that readers take away a sense of wonder and have fun on this whimsical journey. On a more deeper note, it may inspire someone with a desire to say “I Love You” to those who matter most, because you never know when that last time will be. I love all #bookstagram images. Anything with coffee, baking, and the obvious: books. Fancy Harry Potter collections with gold lettering, don't mind if I do... It's great because it inspires you to want to read something new. What's better than that? 13- Have you ever been to, or performed in, a talent show like your MC Tina Crocker? Oh, yes! I went to "The Fame School", otherwise known as LaGuardia High School of Music & Art and Performing Arts. We were always surrounded by concerts, talent shows, theatrical performances... As a Dramatic Writing college student in NYU Tisch School of the Arts, we constantly had classes where we had to perform in front of each other. Basically, I was performing on stage ever since I was a little girl. Growing up, my parents and I had one of those musical family acts. I would sing and dance with my mom, while my father accompanied us. We played in nursing homes, public libraries, and street festivals all over New York. I started young, and I know those nerves all too well! I would say there are quite a few memorable oddities in the characters of Dead School. After all, we are talking about these students retaining their grisly appearance after their demise (a waddling torso on its way to the elevator, while the other half struggles to catch up, etc.) Tina Crocker, though, has a big fat mole slapped onto her face, haunting her through her life, and through death. The memory of imperfection just doesn't go away. I was blessed to have an upbringing in such an openly artistic community at LaGuardia High School. Everybody accepted each other's differences, and there really wasn't much of a hierarchy. It was really quite beautiful. In Tina Crocker's high school, before entering Dead School, she sees lesbians walking together hand-in-hand, just like any other male/female couple. The LGBT community is normal in her world, just like it was in mine growing up. Tina, herself, is very different from the others, and is on a journey to accept herself for the way she is, as well as help Anna's mission against bullying. The Goodreads Blog is a favorite of mine. I also like The Book Smugglers and Looking Glass Review, to name a few. It's a chance to share your opinion with other like-minded readers, to help navigate the world of stories. There's nothing better than finding your next favorite adventure. If the reader is also an aspiring writer, then that's even more important! It grows the skill set to understand what works and doesn't work about another writer's story, and it also helps the author by spreading the word! If you were to die tomorrow and had to revisit your life, what would be the one thing you would change about it? 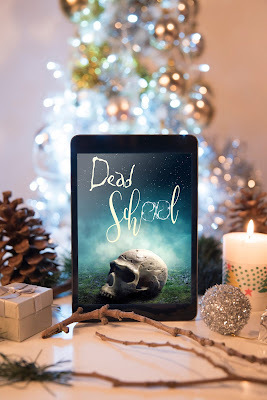 You can find Dead School on Amazon and Barnes and Noble. If you're in the PA area, swing by the Barnes and Noble Bethlehem in Easton on February 9th, 12-2pm, would love to meet you! Nice interview. Congratulations, Laura, and best of luck! First, I found this interesting, especially discovering about the diverse aspect - as a writer attempting a lesbian protagonist. Second, Thelonious Monk's Round Midnight is on one of the first jazz album.s I bought - I have two of his. Third, looking back on my long lift, I try not to have any regrets but I might attempt to ignore my family telling me that selling organic food was a dead-end - back in the late 1970s. I'm intrigued! I'll have to check this one out.